The two rotor timed pump with external bearing allows pumping of practicaly any liquid. As standard features it has integral shafts and rotors as well as replacable liners. 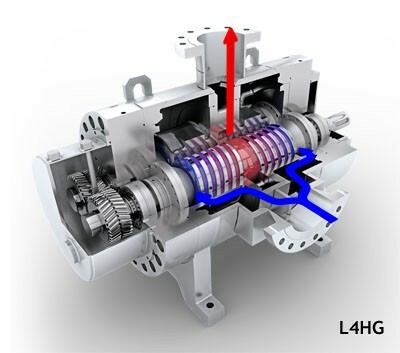 The multi-phase version of the pump has extremely short and stiff rotors for handling up to 100% gas at high pressures. The design allows for total customization with various seal material and mounting options.